The 2019 Mercedes C-Class for sale in Colorado Springs offers an elegant cabin, long list of features and potent engine options. 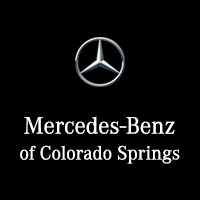 Mercedes-Benz of Colorado Springs provides your first look at this luxury automobile. The 2019 Mercedes C-Class comes in four trim levels. The new Mercedes C-Class begins with the 2019 C 300 sedan. It features dual-zone automatic climate control, two USB ports, push-button start, Bluetooth®, proximity key entry, an HD radio, Apple CarPlay, Android Auto, a seven-inch infotainment screen, rain-sensing windshield wipers, a rearview camera, sunroof, automatic emergency braking, forward collision warning, plus attention assist. The 2019 Mercedes-Benz AMG® C 43 features a 10.25-inch screen, sport-tuned suspension, sport exhaust, and heated front sports seats. The Mercedes-Benz AMG® C 63 and AMG® C 63 S both come with upgraded engine options for the highest levels of performance in the 2019 Mercedes C-Class lineup. The 2019 Mercedes C-Class price varies based on the body style. For the new Mercedes C-Class sedan, the starting price is $41,400. To get behind the wheel of a C-Class coupe for sale, you would be looking at a starting price of $43,800. The convertible body offers a starting price of $51,850. Adding features and packages will change all of these prices slightly. The base engine of the 2019 Mercedes C-Class is a turbocharged 2.0-liter four-cylinder that produces 255 horsepower. This pairs with a nine-speed automatic transmission and rear-wheel drive. The Mercedes-AMG® C 43 comes with a twin-turbo 3.0-liter V6 engine that pumps out 385 horsepower. It also features a nine-speed automatic transmission but comes standard with all-wheel drive. The Mercedes-Benz AMG® C 63 comes complete with a twin-turbo 4.0-liter V8 engine that produces 469 horsepower. The AMG® C 63 S uses the same engine, but it pumps out 503 horsepower instead. There are plenty of advanced safety features as standard equipment on the new 2019 Mercedes C-Class. Safety features include extended active brake assist, a rearview camera, attention assist and rain-sensing windshield wipers. For sleek style and refined travel, the 2019 Mercedes C-Class coupe offers everything you desire. This new C-Class comes complete with a 10.25-inch infotainment screen. Plus, the 2019 C 300 4MATIC® coupe includes all of the same features as the 2019 C 300 but adds the 4MATIC® all-wheel drive system. The 2019 Mercedes C-Class convertible also comes complete with a 10.25-inch infotainment screen. You can opt for the C-Class Cabriolet or the AMG® C-Class Cabriolet. Both of them feature a three-layer acoustic fabric soft top that goes down within 20 seconds. The Mercedes C-Class sedan offers room for five while the coupe and convertible hold four. The new 2019 C-Class interior provides 12.6 cubic feet of cargo room in the trunk. In comparison, the C-Class coupe features 10.5 cubic feet of space. For the cabriolet models, cargo space is measured at 8.8 cubic feet. A smart financial decision would be to check out the 2019 Mercedes C-Class lease specials happening right now. These 2019 C-Class lease deals make it more affordable than ever to drive your favorite luxury car. Whether you want a Mercedes C-Class AMG® for sale or you are looking at driving a new Cabriolet convertible, Mercedes-Benz in Colorado Springs has all of the new Mercedes models and the Mercedes C-Class lease offers you need.